About us : President's Message | Saginomiya Seisakusho, Inc. In 1940, at the place called “Saginomiya” in Nakano, Tokyo, the founding president of our company, Shigeru Nishimi, established "Bellows Research Institute". This is the beginning of Saginomiya's history. In 1948, SAGINOMIYA SEISAKUSHO, INC. was founded and started development and production of automatic controls on a full scale. As a former educator, Shigeru Nishimi became a business person who advocated that the most valuable treasures of a company are its employees working together. With this idea, he built a company culture that nurtures and treasures its people. Since his inauguration, our company has maintained the corporate philosophy of “Creation of happiness for all employees and all people” along with our business motto “When alone, care for yourself. When with others, care for others. Always act for somebody else”. We still continue unstinted efforts in order to accustom employees to these philosophies. We started from bellows application products and have developed as a leading company in the automatic controls business. We have been expanding widely across many industrial fields, such as cooling, refrigeration, air conditioning, hot water supply heating, power plants, automobiles, trains, ships, medical equipment, semiconductors, and etc. Since the testing equipment business started in 1964, we began creating new and valued products, such as the innovative driving simulator “DiM” that is highly acclaimed by many domestic and overseas automobile manufacturers. In 2020, we will have our 80th anniversary. 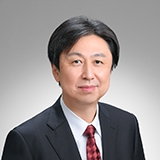 Yuichiro Nishimi, former president, determined a core management strategy with three elements for medium-term management planning (Progress 80). Progress 80 includes “Innovation”, “Business Structure Improvement” and “Globalization” as essential for future development. We will continue to make every effort to realize these three elements. We sincerely hope to be a company which nurtures every encounter and contributes to society by presenting efficient products. We would like to encourage “Partnership with customer and supplier”, “Encounters with new things”, and “Utilization of new knowledge and technology”. It is not until our product is built into our customer’s systems that our promise is fulfilled.